Rolex Datejust Thunderbird 116263 complete with box and papers in 18k. solid gold and stainless steel. This 36mm. classic from 2005 displays excellent overall condition. 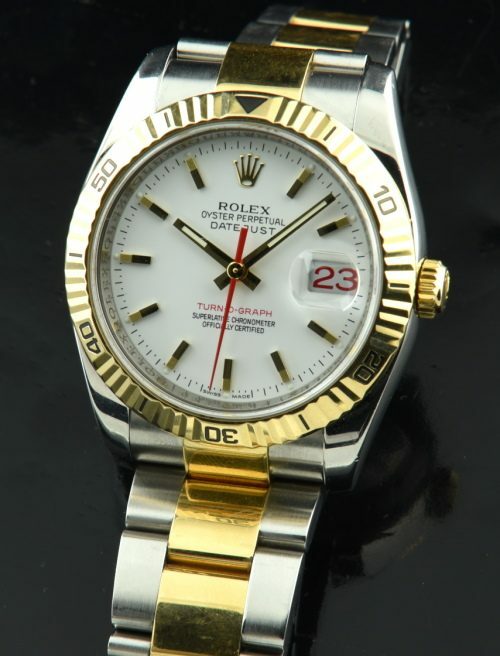 The ROLEX automatic movement is keeping accurate time. There are no flaws worth mentioning. This watch offers INCREDIBLE value at this price. I would jump on the ROLEX FAST!